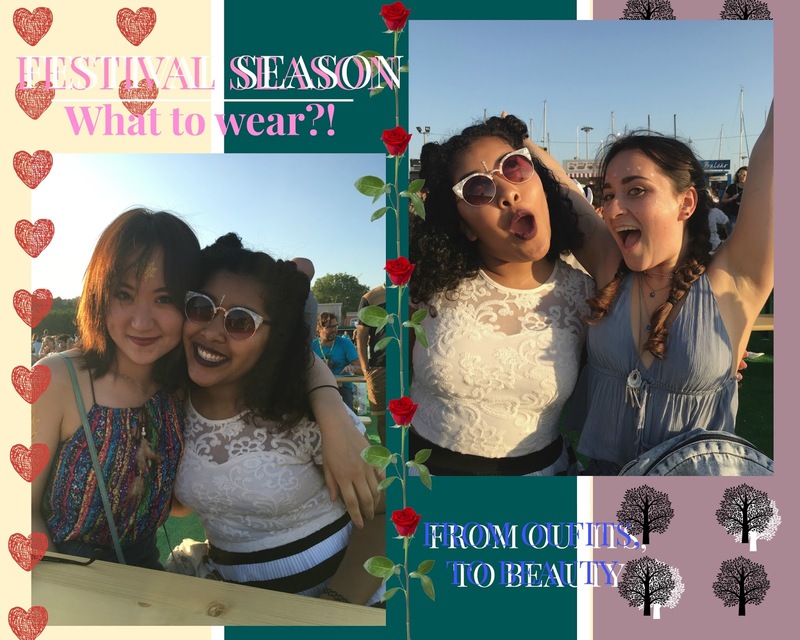 Now that you have most likely completed your list of festivals to attend this summer, it is time to start putting together your killer outfits. Believe me, a festival is the perfect opportunity to go all out so don’t hold back! I encourage you to take these tips with a pinch of salt, as festivals are the place to express yourself and your style. However there are always a couple of trends that seem to be returning year after year. Think long and flowy layers, distressed denim, more earthy colours and mixed patterns. This style is a true festival classic, a nod to the Californian life and pretty easy to achieve yourself. Braid your hair, or use another method to create loose waves, add a headband of some kind and voila, it’s a look! Think lots of black, silver accessories, statement tees, glitter and a whole lot of attitude. This style in not for the faint-hearted and does definitely take more effort to accomplish. But boy, will you feel badass! Hot this summer, are the two space buns with a middle-parting covered in fairy dust (what I like to call glitter). Finish the look by adding some face jewellery around the eyes and forehead. Think comfortable, practical and effortlessly stylish. One glance is enough to know that these people have been there and done it all before. You know that feeling you get when your shoes are killing you, your high waist skirt or trousers are cutting into your stomach and your glitter is somehow all over your face. But then you see this person, that appears totally comfortable in a casual outfit you know you could never pull off. Effort levels to complete this look may vary from none at all to the most difficult to accomplish. Accessoires are optional. Personally, I like to mix it up between bohemian goddess and queen of grunge during summer, with some of the more current trends thrown in. However I am always struggling to pull off a more casual outfit in summer… Somehow it is so much easier for me to do casual wear in winter? What is your go-to summer/festival look?